12: A new cat named Merb! Sean and Sam talk about debugging a memory leak with Crates.io when upgrading to Rust 1.32 that could only be reproduced in production. Derek Prior, engineering manager at GitHub, joins Sam to talk about what they’ve been working on these days. Derek’s doing GitHub projects that can’t talk about. But, he did mention that GitHub recently shipped small-scope changes to its issue templates. Sam dives deep into details about building a Ruby auto formatter and not wanting to be the sole dictator of style for the rest of Ruby for all time. Feedback from others through a request for comments (RFC) process is valuable for adoption and implementation. For the goodness of the community, get them to tell you all their style opinions! Then, everyone can look forward to using Sam’s auto formatter. Ruby's language development is off the charts. Also: we talk about programming. Sam and Sean discuss Ruby, auto-formatting, and whether Hash Rockets are good. They bring other languages, such as Go, Rust, and Elixir, into their formatting discussion. Also, Sam shares some work-related news. He’s leaving his job at DigitalOcean. Before he goes, he wants to get as much done as possible to give his team the best opportunity to succeed. That’s the mark of a truly great manager. But, at the same time, he’s looking forward to his next gig! We’re still time travelling, Sam has since left DigitalOcean, but in this episode, he talks about his experiences there. Sean talks about his experiences managing the crates.io team, and incidents on an open source project with volunteer time. Sam talks about his experiences scaling go programs, and processes vs threads, as well as why kubernetes makes the trade offs between goroutines and processes pretty unimportant. Remember that dark, scary time in October 2018 when GitHub went down? Sean is joined by Derek once again to discuss what they've been up to. Sean and Sam talk all about testing. Sam created an ideal testing pyramid based on personal experience and from talking with test thought leaders, such as Justin Searls. This week Sean is joined by former cohost Derek Prior. After a brief reflection on the end of The Bike Shed, we discuss WebAssembly and what it means for the future of the web as well as native sandboxing. Finally, we catch up on what Derek has been doing since leaving The Bike Shed. In this episode, Sean and Sam discuss the challenges of feedback cycles in organizations, how we could benefit from more feedback in open source, and some idiosyncrasies regarding libcurl and the HTTP/1.1 specification. 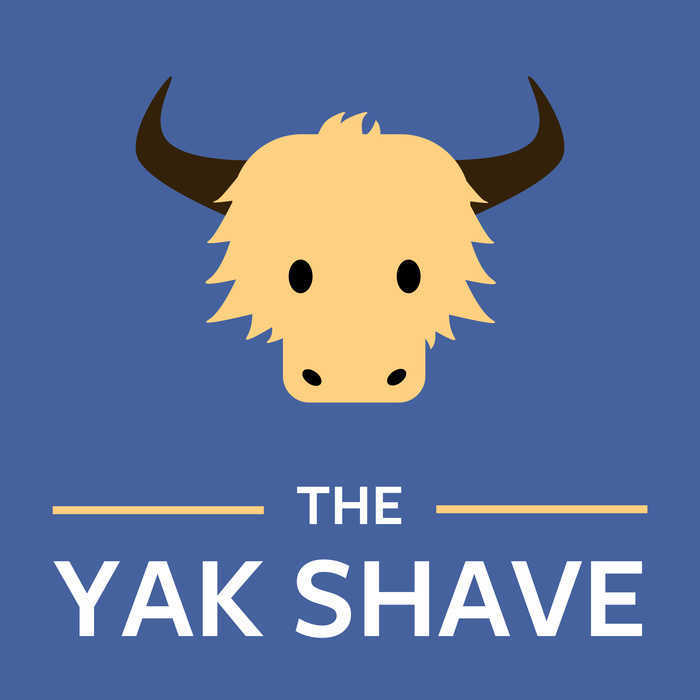 In this episode of The Yak Shave, Sean gets Sam's opinion on dealing with documentation. They share tips, tricks, and workarounds regarding queryable structures, databases, APIs, languages, documentation, and more to address these users. Then, Sean offers Sam advice on how to debug a Ruby issue surrounding database CPU usage.